“Are you sure you can’t come into work?” This is something that is often said to and heard by employees when they try to call in sick to work when they aren’t feeling well or when they mentally aren’t able to be at work. Whether it is a physical or mental ailment, employees should be staying home when they are unable to be present at work. Being physically at work is different than being present at work. It is one thing to show up at work; it’s another thing to be actually productive while at work. Absenteeism has always been scrutinized as the trouble-maker in an employer’s mind – if an employee isn’t at work it’s costing the employer money! A recent area of study—called Presenteeism—is beginning to prove the opposite… sometimes being at work when one isn’t up to being at work costs more than just staying at home would have. Presenteeism is (according to Dictionary.com) the practice of coming to work despite illness, injury, anxiety, etc., often resulting in reduced productivity. As well as, the practice of working long hours at a job without the real need to do so. So, presenteeism is people not performing to their full capacity. Sick days are easy to track, it is easy to say ‘here is an issue’ due to the number of days that someone is missing physically from the workplace; it’s just a number entered into whatever form of tracking being used to identify time off. From a survey conducted by Global Corporate Challenge (GCC) and benchmarked against the World Health Organization’s ‘Health and Workplace Performance’ questionnaire in 2015, on average, employees took about four (4) sick days off each year—but were less productive on the job about fifty-seven and a half (57.5) days per year, per employee – that is approx. twelve (12) working weeks (not including weekends). Now which seems to be more costly to a business—absenteeism or presenteeism? 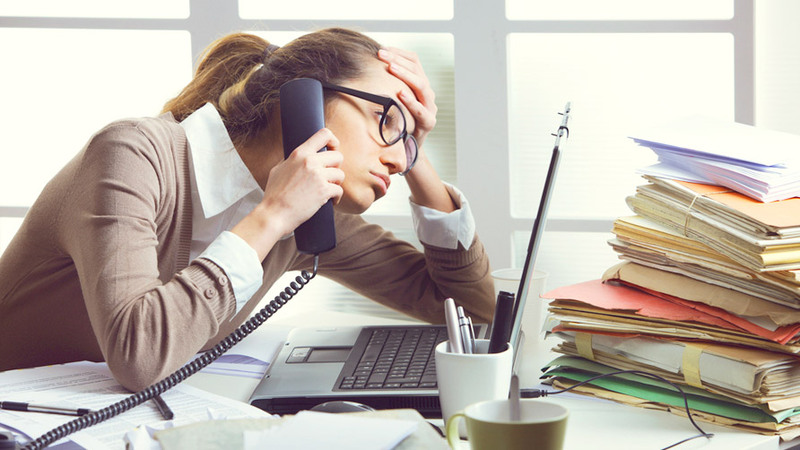 Presenteeism results in productivity loss, workplace epidemics, or poor health and exhaustion which can lead to higher absenteeism for longer periods or accidents. Why would people come into work when they aren’t up to it? It isn’t like they were told they had to! There are a number of different scenarios that lead to presenteeism. A lack of job security is one factor – employees feel that if they take sick time it will be held against them or they will look like a less dedicated employee. Work environment is another factor; there may be an internal pressure to come into work even when not feeling well due to letting others down or the pressure received by superiors. Heavy workloads or demanding jobs can contribute to presenteeism—the employee just needs to get that project done! There are other factors as well, but these are a couple of examples. So how can we help to defend against presenteesim? Get to know your employees—this way you can notice when there is a change in their demeanor; could be tardiness, lower productivity, longer or more frequent breaks, missed deadlines, errors, or irritability. A questionnaire is another option—simply ask employees to provide a number of days that they went into work that they maybe shouldn’t have – people will usually provide a response to this type of question. Provide an Employee Assistance program for your employees—this option provides employees with an outlet and a way to get help, support or advice when they need it. Offer more sick days—I know this makes employers cringe, but research has shown that sometimes those extra days can actually boost productivity in the workplace. People return feeling well and refreshed and ready to perform at optimum levels. You could go really wild and stop tracking sick time all-together! Encourage off-the-job wellness—being well isn’t just about an absence of illness, it’s about being physically and mentally healthy. Having a healthy lifestyle is a good start. Education—spending a little bit of money to educate employees on good health or preventative measures; also, educating managers to be empathetic so that employees do feel comfortable discussing issues with management. These can go a long way in reducing absenteeism and presenteeism. Ensure your culture is one that doesn’t encourage presenteeism—don’t ask your employee when they call in sick if they “are sure they can’t come in?”, but rather, tell them to relax and feel better and not to worry about anything. This is how employees feel comfortable taking the time to get well.